I got the chance to preview the Dickies 1922 Fall 2011 line this week. We reviewed the first edition of Dickies 1922 trousers very favorably, saying that our only hitch was the historically accurate fit – a boon to some, but undesirably wide to others. 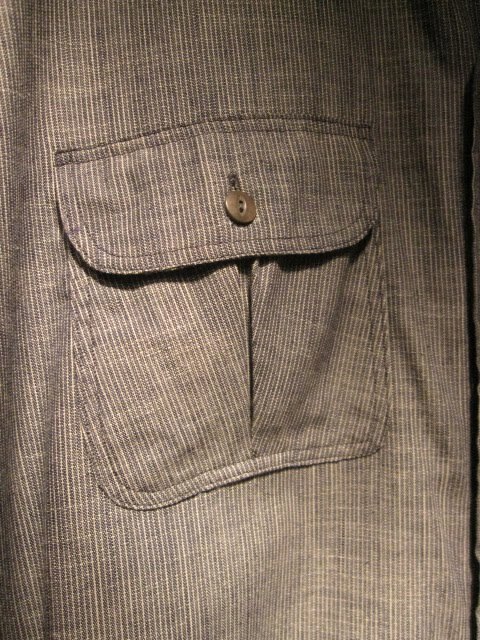 Well, Dickies has answered our prayers in their Fall 2011 1922 Heritage collection. They’ve introduced a Regular fit and a Slim Straight fit trouser while keeping the beautiful Cramerton twill, impeccable construction, and domestic manufacture. I continue to be very impressed with this line. They’re broadening the line with more shirting, including a knock-out Japanese striped Chambray, and a couple of handsome jackets – all still made in their Uvalde, TX factory. 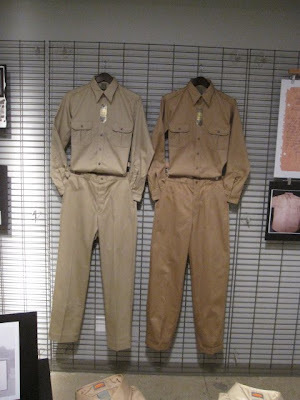 I had the chance to talk with a designer at Dickies about the development of the 1922 collection. Sounds like most of the patterning was supervised by a certain Mr. Gennaro, who came out of retirement to help out with nailing the historic details. It was fascinating to look through historic images in the showroom. Please send contributions to fund my pilgrimage to the Dickies archive and factory in Texas. I’m hoping to do a more thorough in-person review of the new pants and shirts; please stay tuned. If we’re pleased with the new models, would anyone want us to carry a selection in our web store? 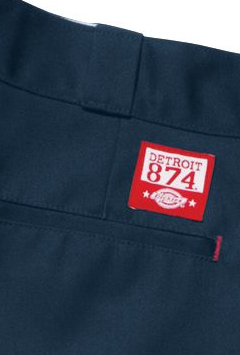 Finally, please consider buying a pair of limited edition Detroit 874 Work pants – they’re only $50, made in the USA, and for each pair bought, another will be sent to the Salvation Army of Detroit. I’d love for you to carry them in the web store. yes do please carry them!! I like that chore coat. Add that to the store. I’d love to see them in your webstore! The senior VP at Dickies is the ex- head of creative design of Levis Japan. 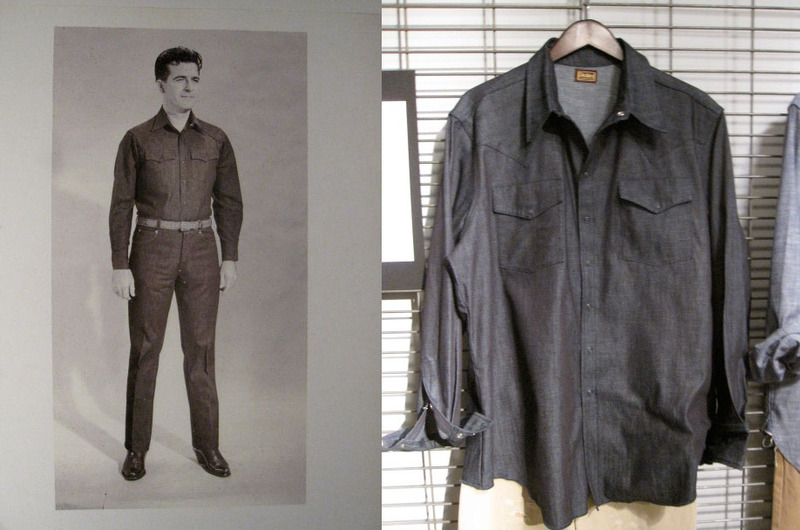 It’s no wonder Dickies is looking so good if he is the driving force behind this archival line. So their regular stuff is still being made in honduras or turkey or whateveristan, right? Is this line available in the type of stores that would carry the regular dickies/carhartt line? Also, link to your web store is broken. No, the Dickies 1922 line is extremely limited release – I’m sure they’ll be growing, but for now there are only a few stores carrying the line. PAPA NUI – good espionage, thanks for the info. cc – yes, Dickies is still making the vast majority of their goods overseas. Please support only their US-made goods, your dollar is your vote! The currently available Dickies 1922 pants are available on the Dickies website and J Crew’s website. Its nice that they are made in the USA, but I share the skepticism of these “heritage” releases from large corporations that do 99.9999% of their production overseas and trot out these extremely limited releases to “celebrate” a tradition that they walked away from decades ago. Especially when the USA made items are 10x the price. Especially for “work wear” priced such that nobody doing the type of work that the wear is ostensibly designed for could afford it. Many of these items are nice in their own right, but far too nichey to support US-made goods. I would rather support brands like Roundhouse and Pointer and help keep American made goods made for every American viable. China is a manufacturing powerhouse and in Australia we sold out our local industry decades ago. There is no point in complaining as our wage structure is too high to support made in Australia and as consumers we put too much pressure on manufacturers because we insist on buying cheap; we are our own worst enemy. America is always focused on growth so unfortunately these heritage brands walked away from what made them great in the first place as has been stated in this dialogue. Too few brands are content to just be the best at what they do and so greed and mass manufacturing replace what was essentially a great product. Take Levis for instance, in order to satisfy shareholder profits the brand has sold itself down the sewer. In order to maintain any integrity whatsoever they have their LVC line which is designed in Europe this appeases the hipsters but the truth is everything else is rubbish. In one of their stores recently I was appalled at the crap they had their label on. This obviously is heart felt as I grew up with the brand and now walk away shaking my head. It’s all about profits and very little about the product. And so I feel for you all and agree you just have to vote for with you dollar. Its a little more complicated than that, at least in America where the same narrative is commonly cited. There are still American companies that make goods in America that are comparable in price and quality to goods sold at the Gap mass-market level. I.e. not super-premium quality, no rarified materials, but affordable and serviceable. This, despite the supposedly over-inflated wage expectations of American workers. How is it that the Gap sells a pair of jeans made in the third world for the same price as one can buy a pair of jeans made in the US, despite Gap paying a tiny fraction in production costs? And why do so few Americans realize this? And why do these supposedly cost-driven consumers never notice that they aren’t getting any of the benefit of lower production costs in the way of price breaks? My theory is that consumers are not cost driven, they are marketing driven. They don’t insist on buying cheap, they buy what is sold to them. A lot of that money that is wrung out of production costs by outsourcing is spent on branding and building market hegemonies that ensure that Americans accept that whatever is on the shelves at the mall is the best deal, as determined by global economic forces that must surely be in the right. 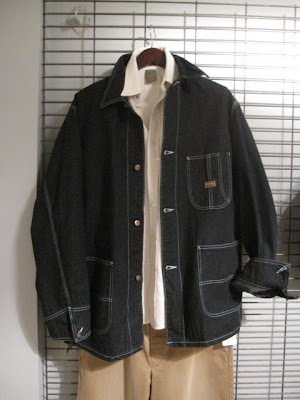 Then, LVC, Dickies 1922 etc. leverage “common knowledge” that making things in America is fabulously expensive and turn “Made in America” into a premium brand, likely because their bean-counters demand the same type of profit margins from these divisions as they have achieved in their main lines. Very insightful spin on things. Don’t remain anon though as your opinion is important to these discussions and our combined ability to see all sides of the picture. But 13 comments and nothing about the Detroit 874 work pant? I actually bought a pair. Man at $50 bucks thats exactly what I was looking for. Something made in the usa that I am not afraid of getting dirty. Its been hard lesson for me but $50 today is really not a lot of money. We have trouble paying for the “overpriced” gear b/c we havent seen real wage gains in 40 years. Now $200 for a poor fitting repo trouser? Hard sell my friend and no way in hell would I buy it if I cant touch and try it on first. 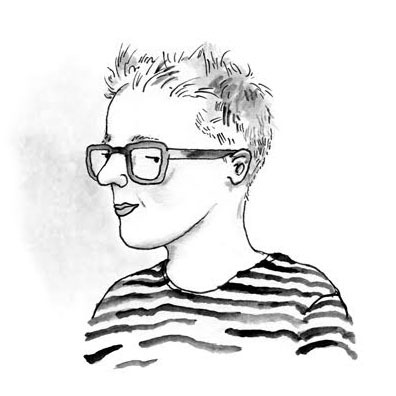 The argument for marketing driving us to the place we are at. Thats the best theory I have read. I would like to add that we are so busy we dont have the time to make proper choices. If I work 40+ hour work weeks I hardly have time to take care of my self, let alone kids, wife, food. So when I need a new pair of pants I would go to the nearest store that has things that fit. Hope my traffic induced rage doesnt make me snap and kids/wife, and then collapse when I get home just glade I even got a pair of pants. I have been trying to walk the walk, wrt buying quality usa goods. It is freaking exhausting and expensive. I will tack this on the end. Finding a rarity of products made in the usa has actually been a blessing. When I find the rare item still made in the usa it is almost always a quality item (if a bit fashion dated). If most thing were still made in the usa we would have to Actually know what was quality. As it stands now I can kinda guess without knowing a great deal.